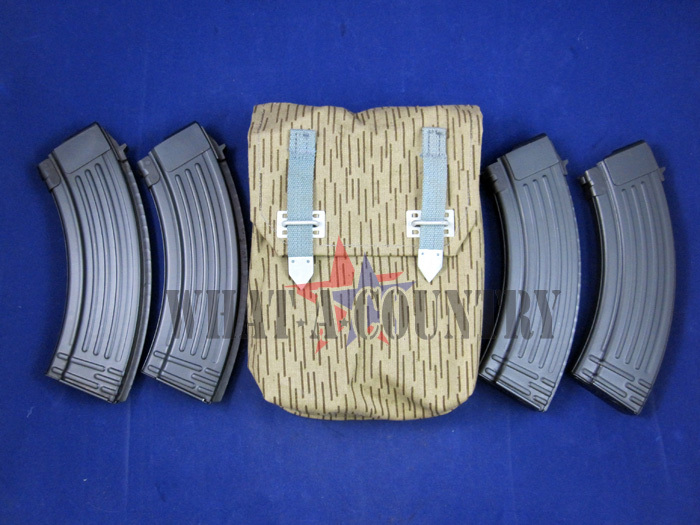 Set includes (4) Ribbed style back AK-47 30-Round Magazines 7.62x39. 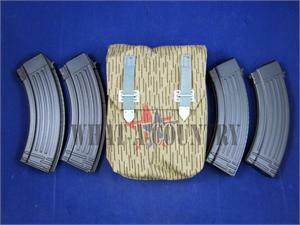 and (1) pouch. East German magazines. Surplus, pre-ban, great functionality. Used-Good: Used magazine in good overall condition. Show much use, wear, storage, etc. New w/Rust: Like new condition with Minor Surface Rust spots on exterior, generally only on one side. Very Good: Nice magazines with light wear/use/etc, overall in very good condition.